Speaking on the 21st anniversary of the Good Friday Agreement, Alderdice, who now goes by the title ‘Baron Alderdice of Knock’, said Bradley did not have the “capacity” for the job. He said she should not be in the post as she did not have a “real understanding of the problems Northern Ireland has” and “does not understand” her job. Speaking in Westminster, Alderdice admitted the minister had “said some things that are completely extraordinary”. Last week, Bradley told Irish citizens in the north of Ireland that they did not have a right to vote in referendums, and would not have the same rights as other EU citizens after Brexit. Sinn Féin described the comments as “erroneous and dangerous”. This week the British government sought to provide reassurance, but still fell short of providing clarity that Irish citizens will be allowed to participate in any future border poll on reunification. The controversy comes after other highly inflammatory remarks by Bradley, including a shocking statement that all the killings carried out by British soldiers in the north of Ireland are “not crimes”. 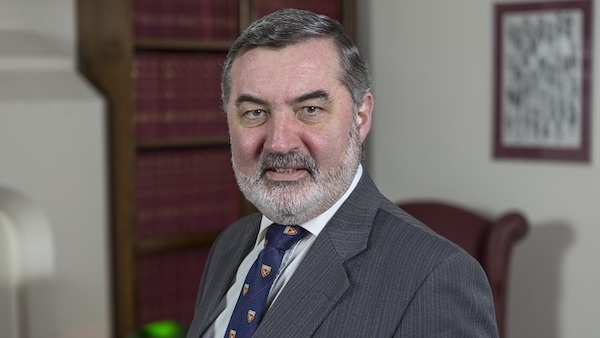 Alderdice works closely with the British government’s political apparatus in Ireland and has previously been taken part in MI5-operated commissions to “monitor” the status of the Provisional IRA’s ceasefire. But he said Bradley was out of her depth. Another statement by Bradley this week claimed that she is willing to hold a “short, focused set of five-party talks” in order to restore the Stormont Assembly in Belfast. Sinn Féin Vice-President Michelle O’Neill said neither the British government nor the DUP had any genuine interest in restoring power-sharing. She said the present reality is that Karen Bradley’s government is wholly reliant on the DUP at Westminster to stay in power. Sinn Féin leader Mary Lou McDonald said she was alarmed that “more than 20 years after the signing of the Good Friday Agreement, that the British government and state insists that Irish people living in the north of Ireland are British. Asked if Ms Bradley should resign, Mrs McDonald said it “wouldn’t solve the problem”.